Matt, in a formal role. Last night, Matt ‘The Chaplain’ Gordon was re-elected to serve the club as President for another term. Matt has given much to Ceedub since his joining some ten years back. 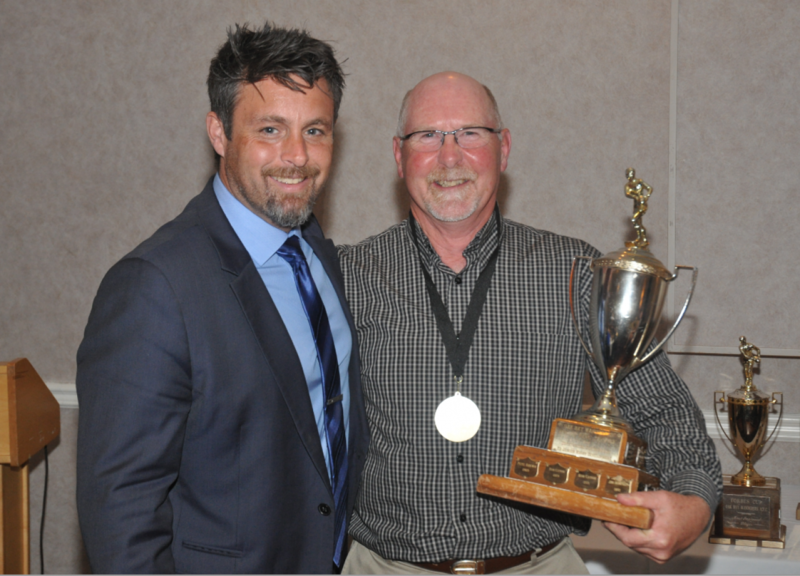 During this time, he has been coach, player and administrator, certainly a “giver back”. This past year he has worked hard to stabilize funding as well as being a champion for a burgeoning girl’s and women’s program. He currently sees the club in a strong playing position going into the Christmas hiatus. Matt is joined on the Board by newcomers, Anne Jones, Brian Huse and Jon Donald, along with returnees, Treasurer, Jason Lewis, Dave Crossley and player reps, Lauren Sargent and Riley Ilnicki, leaving CW in capable hands for the coming year. Good onya, all and thank you! Magic shout out today to Canada’s NSWT Sevens on their achievement in Dubai. The women were nutted by a very good performance from the Silver Ferns, a team well skilled in the dark arts of the Sevens breakdown and arguably, getting the rub of the green in close decisions, being the higher ranked team. This pundit has been happy to see this aspect being less of a factor in Sevens however it is still not completely eliminated! Britt Benn and Bianca Farella were named to the Dream Team and I thought newcomer, Kaili Lukar was the find of the tourney for the Maple Leaf. Well done, ladies, currently in second place overall as well. CW Men’s Islanders, featuring a cameo from the iconic Chippsy Vs Westshore at Windsor 11:30 a.m.
CW Men’s Reserve Divvies Vs Cowichan Piggies at Herd Road, 1:00 p.m.
CW U16 Boys Vs JBAA VIRU Final at Windsor Park, 1:00 p.m.
CW U19 Boys Vs JBAA VIRU Final at Windsor Park, 2:30 p.m.
CW U19 Grils Vs Abbotsford Provincial Final at Cowichan (Herd Road), 1:45 p.m.